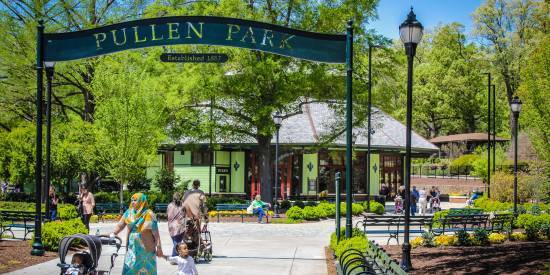 From classical tunes under the stars to wildly-popular summer exhibits, the Raleigh area is bringing the heat this season. Check out our list of 15+ arts and culture events that you can’t miss this summer. See even more events here! Visit an incredible, truly one-of-a-kind exhibit at the North Carolina Museum of Art, You Are Here: Light, Color, and Sound Experiences, which features immersive art installations by 15 contemporary artists, including large-scale light works, sound installations, video works, mixed-media room-size environments and site-specific projects. This exhibition takes over an entire floor of the museum’s temporary exhibition galleries and also transforms the landscape in the Ann and Jim Goodnight Museum Park, creating a campus-wide presentation of contemporary experiential art. Tip: Expect plenty of photo opps. It’s the perfect exhibit for an Instagrammable moment! If you&apos;re looking for a laugh, passionate mind Ira David Wood III&apos;s Theatre In The Park presents It Shoulda Been You, a 90-minute laugh-riot! This new musical tells the story of a hilarious and charming wedding day you’ll never forget. Just think, a wedding day where anything that could possibly goes wrong does, including an ex-boyfriend of the bride crashing the party. Adapted from the Disney film and presented by North Carolina Theatre, this Tony Award-winning musical is sure to be a hit for the entire family. Follow New York City’s newsboys as they strike against unfair working conditions in this epic musical! Bring the kids or make it a date night at the Duke Energy Center for the Performing Arts. Another must-see this summer is Theatre Raleigh&apos;s production of Big Fish. Big Fish tells the story of Edward Bloom, a traveling salesman who lives life to its fullest. Edward’s incredible, larger-than-life stories thrill everyone around him, including his wife Sandra. But their son Will, about to have a child of his own, is determined to find the truth behind his father’s epic tales. Overflowing with heart and humor, this heartwarming story is set to run at the Duke Energy Center. 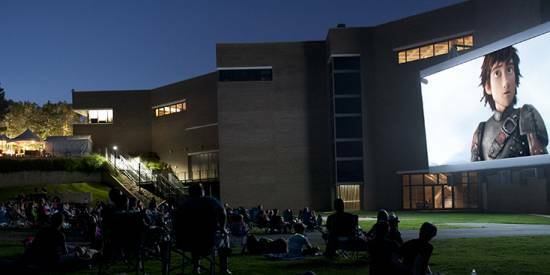 Raleigh Little Theatre presents Into The Woods this summer at its newly-renovated black box Gaddy-Goodwin Teaching Theatre (new seats, new lighting and an overlook with views of the beautiful rose garden below!). This musical brings together various storybook characters for one epic story about family, wishes, consequences and choices we make. With characters from Cinderella to Little Red Riding Hood, this is a great play that kids will love as classic characters come to life. Take in Summerfest concerts under the stars at Cary&apos;s Koka Booth Amphitheatre for classical masterworks and family-friendly concerts. Bring a picnic and enjoy Koka Booth&apos;s relaxing and picturesque outdoor atmosphere while listening to classical music, movie soundtracks, special guest artists and more. Come early for pre-concert activities like the popular instrument zoo, where kids can try out the different instruments for themselves! Inspired by world-renowned opera diva Maria Callas’ magnificent Juilliard master class series, the Tony Award-winning play spotlights the tour-de-force artist and vulnerable woman known as La Divina. Join Callas as she relentlessly coaxes, prods and edifies her young students, motivating them to give the performances of their lives, while revealing her humor, her demons and her genius. Presented by Theatre Raleigh at the Duke Energy Center. Families can delight their kids this summer at the Garner Performing Arts Center with the classic story of Beauty and the Beast. From dancing dishes and singing furniture to menacing wolves, the stage is filled with thrills and wonder in this musical. See two very different individuals find strength in one another and learn how to love. Parents will enjoy this “tale as old as time” just as much as their little ones. Presented by Theatre In The Park, the jokes fly fast and furious in this side-splitting comedy, which pays homage to the world of show business and the people who make a living in it. It&apos;s Only A Play uses the occasion of a disastrous opening night party to pile one wildly funny comic sequence upon another, proving that sometimes the biggest laughs happen offstage. Tip: Take a short walk over to The Players&apos; Retreat for drinks and a burger after the show! As summer begins to cool down, come out to Cary&apos;s Lazy Daze Arts and Crafts Festival. Celebrate the coming of fall by joining friends and neighbors on Cary’s Town Hall Campus for two days filled with the arts and music. The festival will feature four stages with an eclectic mix of live entertainment, including jazz, bluegrass, reggae, rock, funk and more. There will also be a variety of food options on hand from more than 25 vendors. This Sept., Theatre Raleigh takes the stage at the Duke Energy Center to present Once, the smash hit that&apos;s won eight Tony Awards. On the streets of Dublin, an Irish musician and a Czech immigrant are drawn together by their shared love of music. The musical covers the course of one week, where an unexpected friendship and collaboration quickly evolves into a powerful but complicated love story. This classic guy-meets-girl story is perfect for any date night. Afterwards, head to The Haymaker or Rye Bar & Southern Kitchen, just down Fayetteville St., for handcrafted cocktails—a great way to end the evening! 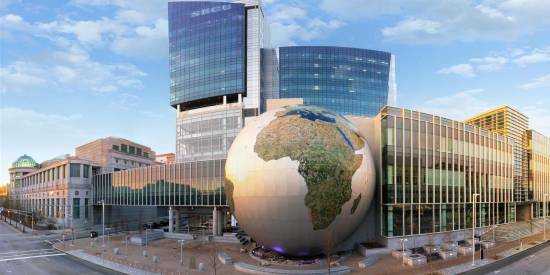 This Labor Day weekend, visit the heart of downtown Raleigh for the African American Cultural Festival. This annual festival celebrates African American Culture through art, food, music and community. There will be an art gallery walk, displaying original works of art from many talented African American artists, and a vendor marketplace where you can purchase an assortment of products like clothing, beauty items and home decor. Hungry? Lots of delicious food will be onsite! Don’t miss dancers and musicians who take the Main Stage for fun, energetic performances. If you loved the movie Sister Act, you’ll love this feel-good musical comedy based on the 1992 film. This musical, featuring original music from Alan Menken, has been nominated for five Tony Awards, including Best Musical. Join Raleigh Little Theatre to watch how a disco diva breathes new life into the church and community. Tip: Make it a romantic date night! Before the show, pack a picnic for your someone special and sit by the roses at the Raleigh Municipal Rose Garden. The grounds include 60 rose beds with varieties of hybrid teas, floribundas, grandifloras, miniatures and antique roses, surrounded by an arboretum of evergreen and deciduous trees. Called "America&apos;s (Secretly) Best Festival," Hopscotch Music Festival returns to downtown Raleigh for the ninth year. Hop around to different music venues to listen to adventurous lineups and memorable performances by 120 bands over the three-day festival. Enjoy music in a range of genres including rock, hip-hop, metal, folk, electronic, experimental and more. For the ballet lover, come kick off the Carolina Ballet 2018-2019 season at the Duke Energy Center with the classic Russian fairy tale Firebird. From a handsome prince and beautiful princess to an evil sorcerer, Firebird has all the classic elements of a great story! Igor Stravinsky, who was inspired by Tchaikovsky, composed the powerful music for this spellbinding story. SPARKcon is an interdisciplinary creativity, art and design festival produced by the non-profit creativity incubator Visual Art Exchange, based in Raleigh. 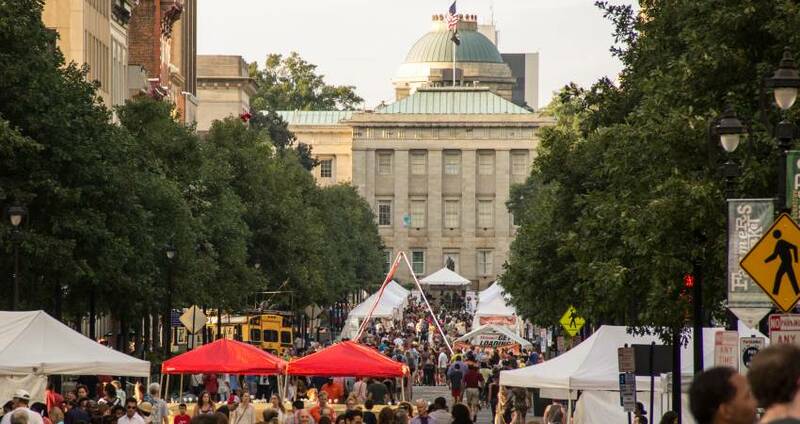 For four days, Raleigh&apos;s Fayetteville St., public spaces, clubs and stages will be filled with art, music, dance, film, fashion, design and more. SPARKcon showcases local cultural richness through an open-source approach to collaboration and cross pollination. Watch aerialists dance from the ceiling, showcases from various dance companies and a “Wear What You Are” fashion show! These are just some of the many things happening at SPARKcon. It&apos;s completely grass-roots and by the people for the people.